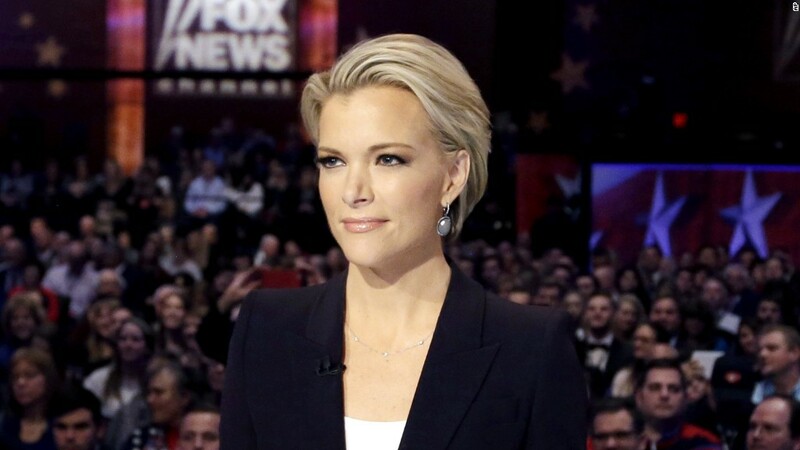 Who will replace Megyn Kelly at Fox News? Rupert Murdoch just lost one of Fox News Channel's biggest stars -- but saved tens of millions of dollars. So who he is going to promote to replace Megyn Kelly? Kelly, on the way to a new role at NBC News, will leave her 9 p.m. time slot on Friday. Fox News has made no announcement about a new host, or even a temporary replacement. Whoever is hired, the person will surely be paid much less than the $25 million per year that was on the table for Kelly. Among anchors, agents and rival executives, the prevailing prediction is that one of Kelly's frequent fill-ins will get the job. Sandra Smith, who co-hosts the noon talk show "Outnumbered," filled in for the better part of two weeks over the holidays. But Murdoch may have a programming surprise in mind. Whatever he decides to do at 9 p.m. -- the hour right in between Bill O'Reilly and Sean Hannity -- will say a lot about the conservative news channel's identity in the Trump era. While Fox prides itself on diversity of opinion, the overall point of view of its programming is pretty clear. Kelly's show was an island of Trump skepticism in a pro-Trump sea. Fox is unlikely to stake its 9 p.m. future on a Trump antagonist. In a column on Tuesday, Mark Joyella, a former editor of the TVNewser blog and reporter at Fox's station in New York, framed the decision this way: "Will the 9 p.m. hour go to someone like Kelly—a journalist with broad appeal—or someone more like O'Reilly, essentially doubling down on the high octane opinion that drove Fox News to the top?" Either way, it is an enormous opportunity, coveted by dozens of cable news anchors, commentators and wannabes. And it is an enormous decision for Murdoch, one that will have a major effect on his cash cow of a network for years to come. O'Reilly is the foundation of Fox's prime time lineup, consistently drawing two to three million viewers at 8 p.m., which is what's known in the television business as a "lead-in." As a Murdoch associate put it on condition of anonymity: "Megyn has the best lead-in in cable news. So who's going to carry the hour?" Kelly carried the hour pretty well, keeping most (but not all) of O'Reilly's viewers watching in the 9 p.m. hour and handing them off to Hannity at 10. High prime time ratings are worth tens of millions in ad revenue for Fox News. So throughout the fall and into the winter Murdoch and his sons Lachlan and James tried to persuade Kelly to stay put. Sources told New York magazine's Gabriel Sherman, and sources confirmed to CNNMoney, that Fox was prepared to pay Kelly about $25 million per year. Only a small number of television news stars have salaries north of $20 million. But Rupert Murdoch also signaled back in October that he was thinking about a backup plan. He told the Wall Street Journal, "We have a deep bench of talent, many of whom would give their right arm for her spot." Kelly notified Fox of her decision to leave on Tuesday morning. Her contract wasn't set to expire until July. Murdoch could have blocked her from going on the air Tuesday night, but Fox and Kelly's representatives reached an agreement to make Friday her last day. The timeline gives Fox at least a few days to come up with a new plan for prime time. The network could appoint a new host right away, before the inauguration and the beginning of the Trump administration, or it could opt for rotating fill-in hosts for a while. Agents and executives interviewed for this story cited Tucker Carlson's success as the new host of Fox's 7 p.m. hour and suggested he could move to 9 p.m. But an all-white-male prime time lineup would raise eyebrows. Fox's schedule has always featured a female host in prime time. Smith retained most of the 8 p.m. lead-in when she filled in for Kelly in December. Kelly's other fill-ins are Martha MacCallum, Shannon Bream and Trish Regan. All four women have reporting backgrounds and are well-known to Fox viewers. Their shows would likely look and feel a lot like "The Kelly File." If Fox executives want a more opinionated voice, they could tap someone like Kimberly Guilfoyle, who passionately supports Trump on the afternoon talk show "The Five." The lobbying is already underway. Some web sites are conducting "who should replace Megyn?" polls. Former Fox host Greta Van Susteren tweeted that Fox needs someone like Guilfoyle, adding, "She is smart and fun...viewers love her." She also promoted Bream, saying she's "VERY smart and everyone at Fox who works with her loves her." Bill Mitchell, a Trump booster on social media and radio, tweeted that MacCallum is "my favorite for the Megyn Spot." It was Roger Ailes, the longtime chairman of Fox News, who plucked Kelly from her afternoon newscast and promoted her to the 9 p.m. hour back in 2013. Ailes' programming bet paid off -- at least until this week. Ailes resigned in July amid a sexual harassment scandal. Rupert Murdoch, who gave Ailes almost complete autonomy, suddenly took over as the CEO of Fox News. Now it is Murdoch's turn to gamble.